Lock in a great price for Holiday Inn Express & Suites Kailua-Kona – rated 8.6 by recent guests! The breakfast was really great. The staff was excellent. We were Always greeted with a smile and nice word! The exercise room was great! Good equipment and plenty of weights and other things. It was small but very well equipped. Nice job! Very close to the ocean and walking distance to local shops and restaurants. They provided a map of the area around the hotel and that was very helpful. Breakfast was good. Staff at front desk exceptional. Cleaning staff did a great job. Friendly staff and great location! There are plenty of restaurants around you can eat at. Large , well done rooms, perfect location for walking everywhere in KailuaKona. Breakfast was varied and substantial. The breakfast provision was excellent, with a great variety of items. The staff was exceptionally friendly and helpful. 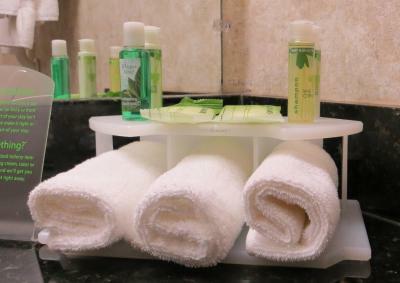 Our stay was enjoyable and we were satisfied beyond expectations. They prepared a breakfast "box" for the morning when I had to leave before breakfast hours - this is not common in hotels. I never thought I would be recommending a Holiday Inn Express but this is an incredible, modern, clean hotel. Sitting room in the room, modern a/c, breakfast included eggs, sausage, bagels, gravy and baskets, etc. I could actually see the ocean from my room. It is VERY close to old town and the beach. GREAT VALUE. The bed and pillows were extremely comfortable. From the central location to the price to the modern spacious rooms to the awesome fresh breakfast, this property hit on all cylinders. I felt like I was staying in a giant resort level room, with a high end breakfast for Holiday Inn prices. I'm not sure how they are able to provide this level of facilities at the prices they do, but I appreciate it! It doesn't have the fancy artwork and beachfront acreage that other Big Island hotels do, but if you are looking for an awesome hotel, with a friendly staff, and a fresh free breakfast, this is the spot. Holiday Inn Express & Suites Kailua-Kona This rating is a reflection of how the property compares to the industry standard when it comes to price, facilities and services available. It's based on a self-evaluation by the property. Use this rating to help choose your stay! One of our top picks in Kailua-Kona.Offering free WiFi, Holiday Inn Express & Suites Kailua-Kona is located in Kailua-Kona. Featuring a 24-hour front desk, this property also provides guests with an outdoor pool. The hotel has a fitness center and a concierge service. Guest rooms comes with air conditioning, a flat-screen TV with satellite channels, a microwave, a coffee machine, a bath or shower, free toiletries and a desk. The rooms have a private bathroom with a hair dryer. All guest rooms include bed linen. Kaloko-Honokohau National Historic Park is 3.5 miles from the hotel. This property is also rated for the best value in Kailua-Kona! Guests are getting more for their money when compared to other properties in this city. 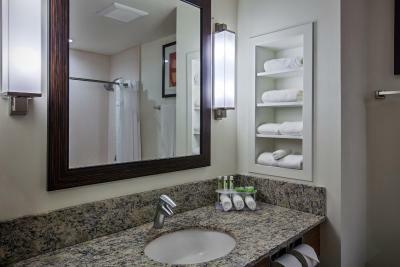 When would you like to stay at Holiday Inn Express & Suites Kailua-Kona? Featuring free Wi-Fi, this room includes a flat-screen cable satellite TV, a coffee machine and a work desk. Featuring free Wi-Fi, this disability access room includes a flat-screen cable satellite TV, a coffee machine and a work desk. Featuring free Wi-Fi, this suite includes a flat-screen cable satellite TV, a microwave, a refrigerator, a coffee machine and a work desk. Includes an accessible tub. 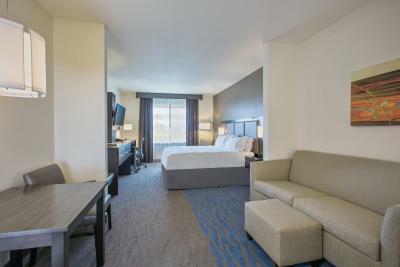 Featuring pool views and free WiFi, this disability access suite includes a roll-in shower with folding chair, flat screen 42-in HD TV, a microwave, a mini refrigerator, a coffee machine and roll-out work desk with a comfortable, ergonomic chair. Featuring free Wi-Fi, this suite includes a flat-screen cable satellite TV, a microwave, a refrigerator, a coffee machine and a work desk. House Rules Holiday Inn Express & Suites Kailua-Kona takes special requests – add in the next step! Holiday Inn Express &amp; Suites Kailua-Kona accepts these cards and reserves the right to temporarily hold an amount prior to arrival. Holiday Inn Express & Suites Kailua-Kona accepts these cards and reserves the right to temporarily hold an amount prior to arrival. Great location, very friendly and helpful staff. The pool area umbrellas were too small. I’d like to see at least a 9 foot umbrella covering the tables. But that’s my only complaint. The pool and gardens were so pretty and clean all the time. It is nice to sit outside even in the rain but with the small umbrellas and no covered patio it made it a bit uncomfortable to get rained on. But mostly good job on everything else!!! I prefer not to pay $10 per day for parking. The room was so smelly! I'm not sure what it was but as soon as we opened the door it hit us! Even open window did not help. Every time we walked in we could smell it. Considering the room cost us $249 plus tax per night, it did not meet our expectations at all and I would not stay again. We also couldn't use the pool - the day we checked in it was full of kids and very noisy and the next day the pool was closed due to repairs. The breakfast was very good. Staff was courteous and helpful. Excellent breakfast offering. Very plentiful in choices each day. Extremely clean hotel. Friendly staff. Front desk assistants Dora and Donna were very very personable. The King suites were well laid out. Some small suggestions: Couple of big tables were exposed to the sun during breakfast, which effectively reduced the number of tables people would sit at. Laundry room was very hot and humid, it could use an AC or some other ventilation.